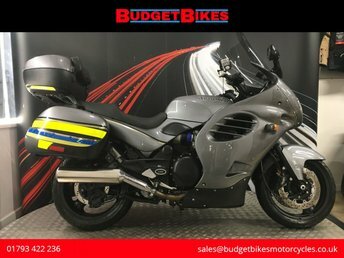 Budget Bikes are pleased to offer for sale this Triumph Sprint ST that is in good condition and is HPI clear and documented for its next owner. The bike comes with service history comprising of 7 stamps, pack of MOT's and some receipts. 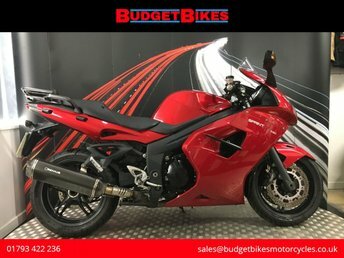 Budget Bikes are pleased to offer for sale this lovely Triumph Sprint RS that is HPI clear and documented for its next owner. The bike has covered just 22,605 miles and is in a nice condition and really stands out. The bike has built in heated grips, colour coded top box, crash bungs, Zero Gravity screen and more. The bike comes with its owners manual, service book comprising of 5 stamps and service receipts and previous MOT's. 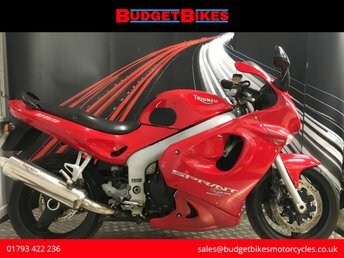 Budget Bikes are pleased to offer for sale this Triumph Trophy 900 that is HPI clear and documented for its next owner. The bike comes with service history receipts, previous MOT's, multiple keys and full colour coded luggage. A fantastic example of a great touring machine. 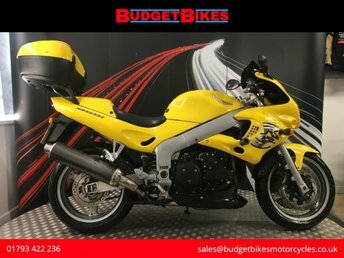 With just 14,000 miles on the clock this bike has a great low mileage and is fully Hpi clear. A head-up display, Go Pro mount, and 3 box luggage are all included. A fantastic example of Triumph's best sports touring bike. Fully Hpi clear and complete with a luggage rack, touring screen, and Remus end can. 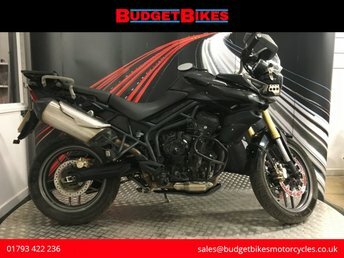 A great Tiger 800 ABS with just 1 owner from new. Fully Hpi clear and complete with the original owners manual and service book. Last serviced just 10 miles ago, and with a full prior history. Sport lights have been fitted and heated grips are present. A fantastic adventure bike with just 15,000 miles on the clock. This 3 owner bike comes complete with a Triumph top box and Datatool series 4 alarm. The original owners manual and service books are both present, and the bike is fully Hpi clear. A British manufacturing icon, the Triumph name has been associated with classic motorcycles such as the iconic Bonneville since the turn of the 20th century. Today the company is responsible for a superb range of modern classics, from roadsters and supersport bikes through to adventure and touring models. 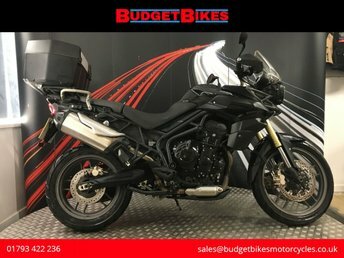 You'll find a great selection of quality used Triumph motorbikes for sale in Swindon when you pay a visit to Budget Bikes Ltd. Our showroom is stocked with competitively priced bikes and we'll do everything possible to help you find the right used Triumph to suit your requirements. Take a look at our current line-up and don't hesitate to get in contact with a member of the team with any questions.